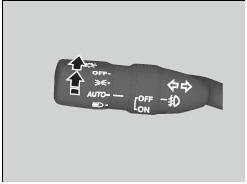 - You can change the auto light sensitivity setting. The headlights, all other exterior lights, and the instrument panel lights turn off within 15 seconds after you remove the key and close the driver’s door. 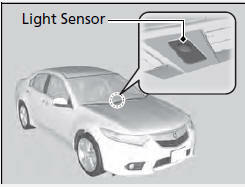 - You can change the headlight auto off timer setting. If you turn the ignition switch to LOCK with the headlight switch on, but do not open the door, the lights turn off after 10 minutes (3 minutes, if the switch is in the AUTO position).